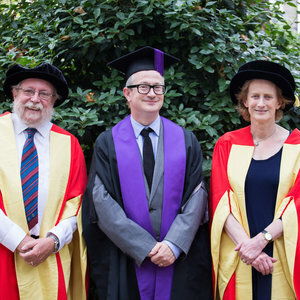 A range of eminent figures have joined the list of UCL Honorary Graduands and Honorary Fellows during the 2014 graduation ceremonies, held from 26 August to 5 September. An Honorary Degree is the highest mark of distinction that a university can award. Honorary Degrees are conferred on people who have a record of outstanding achievement in scholarship or in public life and who have made contributions of unusual importance. Recipients of Honorary Degrees will normally have, or have had, a close association with UCL. Honorary Fellowships are awarded to people who have attained distinction in the arts, literature, science or public life; have rendered exceptional service to UCL, which may include philanthropic support; or have a close association with UCL. The ceremonies are a great opportunity for graduating students to meet and talk to the inspirational individuals receiving two of UCL's highest accolades.